The fictional God that Kombuis has created is a God of kindness, but he is also a God of fallibility who is looking over his life (several trillion years long) and judging himself and his actions. But the book is more than just a book about God and his travails in trying to form a relationship with the people and planet he created, it is also a biting satire on the world we have created. In the new version God is taken to a prison called Beverly Hills, from where he only manages to escape when he volunteers to be a Grim Reaper. The politics of Heaven and Hell, the Devil's "Plan B", Paul's letters to the Americans, the British and the Pope – many outrageous events are related in this new version! Loved this! It reminded me of Lamb, a bit. Hysterical and I definitely would recommend it if you enjoy this sort of thing. In an underwater cavern off the coast west of Marseille are the first human engravings known to man. Among them is a crude drawing of a three-fingered hand, which has long puzzled archaeologists. Is it a hunting signal? A mystic sign invoking the spirits? Or is it, as many believe, evidence of ritual mutilation in a Shamanistic world? The Hunter evidently believes the latter. Driven by inhuman voices to maim and kill, he severs the body parts of his victims - and signs his savagery with a print of a three-fingered hand. Commandant Michel de Palma, of the Marseille murder squad, heads to the university in Aix-en-Provence to investigate further, but the clique of pre-history professors he encounters are as hard to unravel as the meaning of the cave-drawing itself. As he gets closer to the truth, the group of academics close ranks. Slowly and alone, de Palma begins pursuing a mystery that dates back to the Ice age. The First Fingerprint introduces a policeman as polished as he is brutal, as charming as he is deceptive. Michel de Palma, called the Baron by his colleagues, knows the dark underside of the city of Marseille as do none of his rivals. But his enemies are everywhere: in the crime-infested sinks of the suburbs; in the sleek and squalid bars of the old quarter; even in the police ranks themselves. Yawn. I'll admit I'm a little tired of these standard crime novels ... there is no exciting twist. This one was particularly difficult, as I think often happens with translated books. Not because of story-line or anything, but with this one, because I couldn't tell the characters apart some of the time. I dunno if that happens to you when reading foreign names, there's just something about them that doesn't always stick in my head. Anyway, I thought this book would be a *lot* more interesting than it turned out to be ... sadly it wasn't. I wouldn't really recommend it at all. It's no secret that visas terrify me a little. The fact that you spend a fortune booking a trip and then have to apply for visas, which apparently should be a mere technicality but to be honest, your holiday really does hinge on them, without them there are so many countries that you cannot visit with your little Green South African Passport. The irony here is that I was never really too worried about my Russian visa, definitely more for my Chinese one (because I had read somewhere online that people had had a problem getting into China with a fake Polar Bear Capital of the World stamp from Churchill in their passport, it being an unofficial stamp in an official document and all) and the Mongolian one (sending my passport all the way to the UK & back had me nervous for this one). But as it turns out, the Russian one caused me more stress than any visa in my life had before. I had my passport collected by the Visa Service company I was using (I have a lot to say about their customer service, but this is not the post for it!) on Tuesday afternoon and expected that my passport would be submitted to the Russian Embassy in Pretoria on Wednesday morning. On Wednesday morning, a little before 10am, I called the Visa Service Company to confirm that all was in order and my passport had been submitted (yes, I was calling *them*, take note, it'll become a trend) only to hear the woman say "Oh, I was just about to phone you!". And then she proceeded to completely ruin my week by telling me that they'd been told that the Russian Embassy was no longer issuing visas for people leaving the country by Train. EXCUSE ME? Being that it is a legitimate way to travel and that this was, in fact, the way I was travelling, you can imagine my complete horror at the news. She then said that they could try submitting it and see if it got rejected. Um, NO. I promptly told her to get clarity on the issue before submitting my passport. There had to be a way to get a Russian visa, and she should find out exactly how. But, based on her past effort levels, I went off to do some research of my own. There was no specific mention of not providing visas under these circumstances on the Russian Embassy's website, although it did request you include your return air ticket (which I had in my vast pile of submitted documentation, but it was departing from China). I figured already having my Mongolian & Chinese visas in my passport would count in my favour, but what I really needed to set my mind at ease was to speak to someone who could give me a straight answer. I tried calling the Russian Embassy in Pretoria continuously from 10am till their reception apparently closed at 11:30. Not a single time was my call even answered. It just rang and rang .... I sat in meetings with my phone attached to my ear listening to it ring, just desperately hoping for an answer. My dad suggested phoning a few other Visa Service Companies, he was completely sure this woman had her facts wrong. One of the other companies I spoke to had never heard such a thing and another said it'd be fine but you may have to provide a copy of a train ticket. At this point I guess it made a little more sense ... If you were flying in but couldn't prove you were leaving because you were planning on buying a ticket once you were there, I can see how things might be trickier ... Not for other citizens who can travel the globe with ease, just for us, from South Africa, where as I have seen now, your Russian visa specifies the actual specific dates of your entry & exit of their country. Sigh. Panic stations. The Visa Service woman also had no luck getting in touch with them ... and said she'd keep trying till 3pm. This is about where I really lost it telling her that even I knew the embassy reception had closed at 11:30 and of course she'd have no luck getting thru for the rest of the afternoon :P SIGH. Anyway, we decided that they would take my passport and documents to the embassy on Thursday and see if it was accepted for submission. I then got in touch with Real Russia (who were fabulous!) and managed to get further confirmation documentation which I mailed to the Visa Service Company. I also decided then and there that I'd pay the extra R400 for speedy turnaround (1-3days instead of the usual 4-20days they offer). I wasn't having the stress of not knowing hanging over me for such a lengthy indefinite period of time. Dad also suggested I try the Cape Town embassy, and one of the other Visa Service companies also told me they were easier to get hold of, but I had to wait till Thursday morning to try that (these Embassies sure have ridiculous hours!!). At 9am I promptly called and they answered almost immediately. But I was told to phone back in half an hour to speak to a Diplomat. This is about when my resolve cracked and I had to disappear for a bit and just let go of all the emotion and terror swirling inside me - lucky thing we have an empty office next door to ours. But, things started to turn up from here ... I called back and spoke to the Russian Diplomat in Cape Town, who sounded like a lovely sweet man with a thick Russian accent who was very reassuring and made it sound like with all the documentation I had submitted there wouldn't be a problem. I also called the Visa Service company later in the day and heard that my application had been accepted for submission. And that they'd be able to collect it the following day. 1day turn around, completely worth that R400. On Friday I was still a little jumpy, because until I actually had my passport back with the visa in it, I wasn't off the hook yet ... but I was definitely calmer based on how things were going and what I'd heard. Well, it was certainly a more relaxing weekend than usual ... I think that was partly because of the emotional come-down after such a stressful week and because of a delightful 18hour power failure we had. The weekend started on an exceptional high as I found out I got my Russian visa and managed to get my passport back that afternoon. We also finished work early and had a braai at the office to watch the cricket (well, I may have been too busy paging thru my passport to care). And then an absolutely massive thunderstorm started. And apparently killed out power at home at around 16h15. It didn't come back on till between 10 & 11am on Saturday morning! So Friday night was very quiet and uneventful. I pretty much read my book by candlelight and went to sleep early. Which I really needed after such a dreadful week. On Saturday I did some shopping and pretty much did nothing much for most of the day ... as I said I was a little emotionally bereft so didn't really know what I wanted to do nor did I care too much either way about anything really. I was going to go to RR for their 8th birthday party after that, but my feet were just killing me so decided to head home instead. And then on Sunday, I started learning Russian, at home in the comfort of my own bed (love the internet!). I managed to learn the whole alphabet (all 33 letters of the alphabet ... so at least I should be able to pronounce words I read) and later in the day, I learned to count to 10. I'm feeling quite impressed with myself since languages is really not my thing. And for lunch I headed off to visit @louisabouwer in her new spot. It was a lovely afternoon spent catching up, eating pizza & drinking champagne watching Nicola's antics :) Just what I needed! Sigh. So it sounds like today is going to be D-day in finding out if this week's stress and worry are to be but a mere memory, or whether the potential disaster has struck. Logic tells me all should be well, but the seed of panic that lives in my brain is currently a fully grown oak so there's little I can do to remain calm until I get the necessary confirmation. Cryptic, yeah, I know. But I'll tell all next week once I've dealt with and accepted and cried over (with relief or agony) whichever outcome comes my way. In other news, to escape my brain, CollegeInstructor and I went to watch Red Riding Hood last night. It was not spectacular. It had potential ... I picked a completely different ending, mine would've been much better than what they went with, I think. But it served it's purpose. Another highlight of yesterday was getting access to the full collection of photos taken by Jenty and Alana Meyer for the Sass Designs shoot. And they are amazing! I've been ooh-ing and aah-ing over them the whole day. And seeing the photos reminded me again what a special day it was spent with some of my favourite people. On the other hand, and perhaps because of my present overly wrought state, many many things have been annoying me supremely. Customer Service and communication are at the top of the list. And if fact, most customer service could be vastly improved by better communication ... Sigh. I won't rant here, but know that it's been a very rough week with a very low boiling point. Sigh, it may have been a mere 4 days long, but I feel as tho I have aged years. I can NOT wait for it to be over. More importantly I can NOT wait for this weight to be off my shoulders. Keep your finger's crossed, please. And then last night The Trucker and I went for dinner at Mumbai Brasserie. Another time I'll introduce him to Ghazals ;) But in comparison, this place wasn't bad at all. The ambiance was not great because when we arrived at 7pm, we were the only people in the whole place (although there were probably another 3 tables by the time we left). But on the plus side we did get to sit outside and it was a lovely evening. I stuck with a Chicken Makhni, not because I'm boring and only ever eat that (well, probably because of that too), but how else to best compare it with Ghazals? It was definitely on a par. After that, we went to Doppio Zero for coffee & ice-cream (well, I had a hot chocolate, but semantics). Another lovely evening. I'm beginning to think I may eat out too often ;) hahahaha. Ps. Am loving Firefox 4! Well, I do love a long weekend :) Doesn't everyone? Most especially one when Mom comes to visit! We had a fab time. I picked her up after work and after she'd had her first Gautrain ride on Friday afternoon. We headed straight to the shops to stock up on ingredients. Instead of the usual eating out, we were planning on cooking at home this weekend (most especially since I'd eaten out 3 nights that week already). 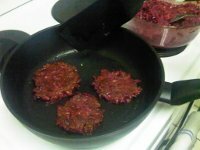 For Friday night's dinner we made Beetroot Burgers (thanks to The Creative Pot for the recipe!) which turned out to be completely delish and amazed us both! I highly recommend these as something different and the colours are so much fun :) fyi. we couldn't find buckwheat so we used oats instead. On Saturday I made us crumpets for breakfast and we were supposed to go on Past Experiences' Naming Jozi Tour ... which sadly got rained out completely. Seriously, we were drenched! It was a bit of a disappointment, I was looking forward to showing Mom a bit of Joburg city centre. Oh well. On Sunday evening, we went to watch Freakonomics. I was super keen since I'd so enjoyed the book, when I read it absolute ages ago ... And so, I guess the movie will be interesting for people who haven't read the book (although I'd recommend you do that instead!) but for me it was pretty much just a rehash. I'm honestly not entirely sure why they bothered making the movie. Although don't go expecting a normal movie, it's documentary style (what else could it be, really?) and I did rather like that different people directed each segment so they were each quite different. As I said, I'd recommend giving this one a skip and reading the book instead. Monday was far more relaxed and involved more cooking. 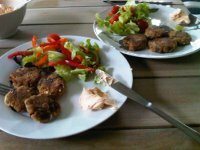 This time we made Simply Delicious' Roasted Aubergine & Feta Fritters. I'm a big fan of aubergine, but not of cooking it ... and these came out perfectly. 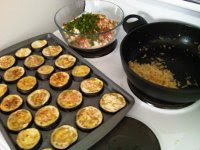 I was also a little worried while we were cooking them, but we found the cooler leftovers to be even better than eating them warm :) They were really yummy! On Monday evening, we watched Whip It. It was actually really awesome not to have Mom flying back on Monday evening, no mad rush to the airport, no wasted afternoon. I dropped her off at the Sandton Gautrain station on my way to work this morning. Righto, an awesome week, generally (aside from the I hate people factor, but I'm glossing over that right now, cause I'm in a good mood, although tired). So, what have I been up to since my rare Tuesday morning post. Well I had a delish sushi dinner with @Nadgia. So much of talking, so much of eating :) And, of course, we finished the evening in the customary way with the best hot chocolates at Rocket. Was a fab evening. On Wednesday it was CollegeInstructor's birthday so France & I had decided that we should all go for dinner at our favourite spot, Gourmet Garage. Left to his own devices, CollegeInstructor would probably have ignored his birthday entirely! As I said before, we also had a little surprise planned. Sadly however the weather did not play along ... we wanted to take him up in the Monte Casino balloon, he's been wanting to go forever! Oh well, we'll reschedule. Dinner was divine! As always :) And it was a really lovely evening. Okay so it wasn't entirely a hibernation weekend, but it was pretty close. I did nothing on Friday evening, I worked late, popped by the shops on the way home and made home-made pizza's (sort of) for dinner :) Yum. And I watched The Imaginarium of Dr Parnassus. I've been dying to see this movie since Heath died ... yes, still devastated. And I finally got round to it (I don't remember it being on big screen here?). 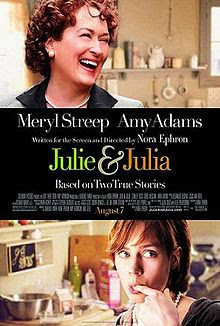 It's not an amazing movie, but I did quite enjoy it. I especially enjoyed how they "fixed" it after his death, I think it worked brilliantly. 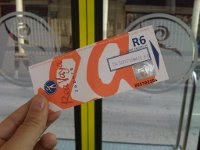 On Saturday I was up fairly early and headed into Joburg city-centre for another tour with Past Experiences. This time a shopping tour :) I adored it. Got to take the Rea Vaya for the first time and even came home with some fab little purchases! 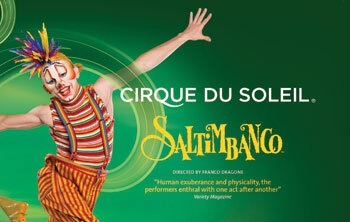 Great fun, I highly recommend it for the girls. I doubt it was much fun for the few boys who got dragged along with us. And that was pretty much it for the rest of Saturday. 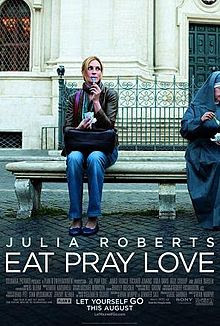 I watched Eat Pray Love finally as well. Which I was surprised I loved. Aside from the minor fact of someone up and leaving their real life indefinitely without any income ... I mean I know the dollar is powerful but really? I think I am Liz Gilbert and I am still hunting for my word too. Sigh. Sunday was very busy in the morning. Dropping recycling off, cleaning the bunny hutch, that sort of admin. But I spent a lot of the rest of the day just relaxing. Which I definitely needed. I have a very busy week ahead. 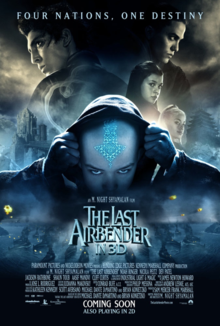 And I watched The Last Airbender. Which I had heard was rubbish, and it was, which is why I didn't watch it on the big screen. An uneventful week so far to be honest. SCM Dinner on Monday was quiet and last night my dinner with @Nadgia got postponed again (this time she postponed) ... ah well, we'll get round to it eventually. I am avidly tracking my passport on DHL's website ... and other than that not much, hey. Hardly seems worth the blog post. I was kinda curious to read this book because I've debated a number of times whether I should get myself the box set or not (I really do want the Harry Potter box set too ... I prefer box sets when the series is complete tho). And also, because I love the tv series so much. This book was cool, it was very similar to the series ... or rather, what I remember of Season 1, which was quite a while ago. I'm not yet ready to buy the box set tho, they don't feel like significant books, I think I've enjoyed the tv series more. (Harry Potter, on the other hand, I feel the complete opposite about and would love to own the books but have less than no interest in the movies made). Friday night started out interestingly with my first visit to our local Hooters. More of a yawn than I was expecting, to be honest. I can't really understand why people go there ... the food was awful. I shared their tater-tots and boneless chicken wings with @samanthaperry and none of the food was finished, even with help from a few other people round the table. I think McDonalds food might actually be less processed than Hooters' food!! Anyway, it was a friend's birthday and we had a laugh. Saturday was very lazy until I started to get ready for a wedding I was off to with @scottjorton. Awesome opportunity to wear my Sass Designs dress to an actual function *yay*. Although I'll admit I played with it for quite a while before settling on which style to wear it in this time - nice to wear something new :) I copied the style in the pic from the website. The wedding was good fun. Jees, the couple had been dating for 10 years ... since high school. I was amazed. On Sunday I ended up having a spontaneous breakfast with The Trucker at Doppio Zero, which was great fun. And then I had a very relaxing afternoon before heading to watch The King's Speech with CollegeInstructor & France. I *loved* it. Seriously, I hadn't seen a trailer for it, although I had a vague idea what it was about ... and it sounded dull. But it won the Oscar, so I figured I'd give it a try. Loved it. Oh, and how nice to see Helena Bonham-Carter in a normal role, hahaha. This morning DHL will be coming to collect my passport (now with a very fresh Chinese visa in it, got it back on Friday afternoon) and it'll be shipped off to the UK for my Mongolian visa. Sheesh, it's all really happening. But as such, the week has been pretty quiet with not much done on Wednesday evening either. 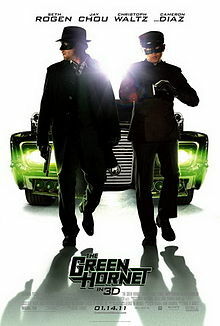 I think I kinda needed the time to readjust to Joburg ;) But last night CollegeInstructor and I went to watch The Green Hornet. Today - six years after it was created in a Harvard dorm room - over 500 million people use Facebook regularly, in just about every country on earth. That a company this powerful and influential was started as a lark by a couple of 19-year-olds makes it a fascinating and surprising tale. That one of them, the visionary Mark Zuckerberg, had the maturity, strategic smarts and luck to keep his company ahead of its rivals anchors the tale. With exclusive inside access to all the company's leaders David Kirkpatrick tells of the vision, the tenacity, the refusal to compromise, and the vision Zuckerberg has to remake the internet. A brilliant and fascinating cast of characters created Facebook and Kirkpatrick has interviewed all of them. Never before have Zuckerberg and his closest colleagues told what really happened as they built their dynamo while eating fast food, staying up all night, and thumbing their noses at how things are usually done. I loved this book. And I think everyone who uses Facebook and everyone who doesn't even have a Facebook account (yes, @DoodlesofaJourno, I'm talking to you!) should read it. So yeah, literally, everyone. I guess it is kinda weird having it come so hot on the heels of the movie The Social Network (which I also loved), but this is completely different. This is the real story, not the Hollywood version. This barely mentions the lawsuits and whatnots, it's more about how the company came about and grew the way it did. Make no mistake, I have a huge amount of respect for Mark Zuckerburg and what he's managed to achieve. Damn, but I wish I'd been around when this was just getting started. It must've been quite amazing to be involved in. Urgh. I have not had a fabulous couple of days. Well, I guess Monday was mostly fine, went to SCM Dinner and caught up with everyone. So yeah, other than that, not much has been going on.